The motive of flying balloons is a perfect choice for a bedroom. 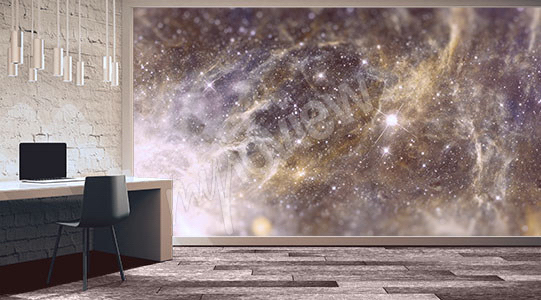 Wall stickers with such depictions will let you soar the sky in your dreams. Sleeping becomes more exciting and your interiors – more charming. 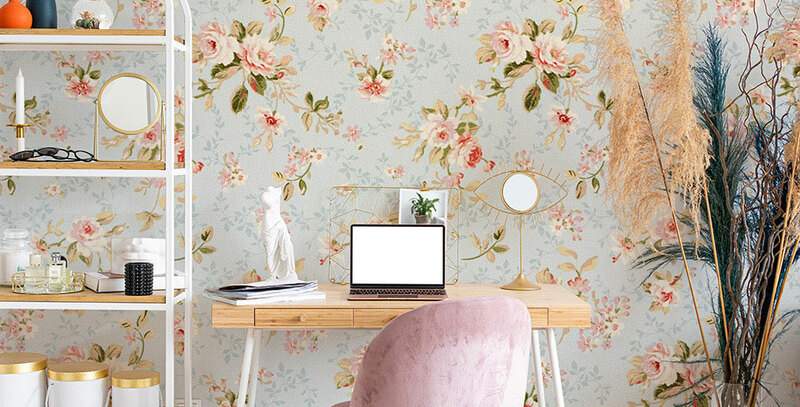 A retro wall mural with a floral pattern will give a wide variety of interiors a unique character – especially interiors furnished in a romantic or industrial style. Floral motifs are in this season. Not only can wall decorations be an original accessory, they can also be an inspiration and foundation to create an interesting styling. 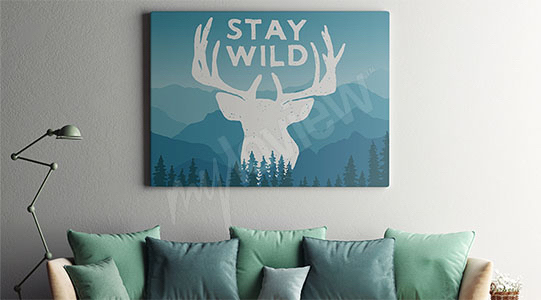 The deer painting is a perfect choice not only for animal lovers. It will also appeal to anybody who enjoys modern decorations unique in their character. It's a great way to complement a Scandinavian or minimalist-style arrangement as the proverbial cherry on top. 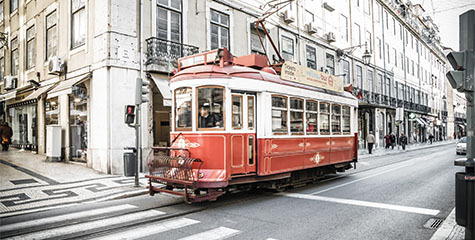 An urban jungle doesn’t have to be grey. 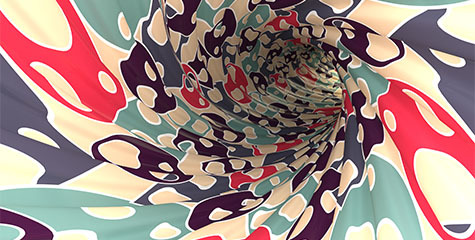 Quite the contrary – it can be filled with colors and plants that form fantastic patterns. 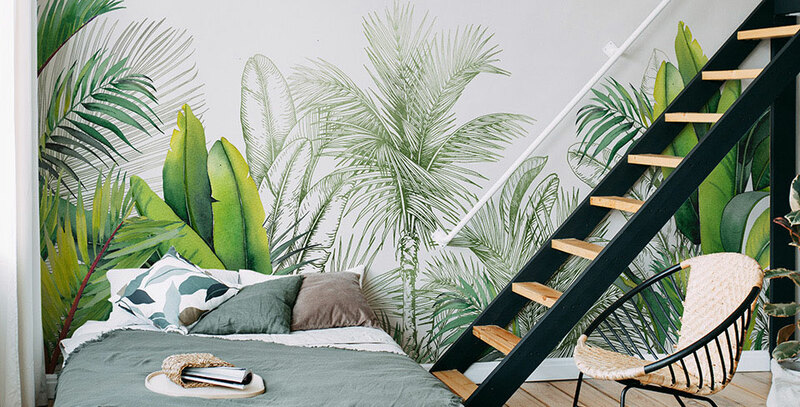 Wall murals with exotic plant motifs are a good example of this. Are you a fan of the 60s and the 70s? Are you fascinated by the hippie era aesthetics? Express it through your interior! 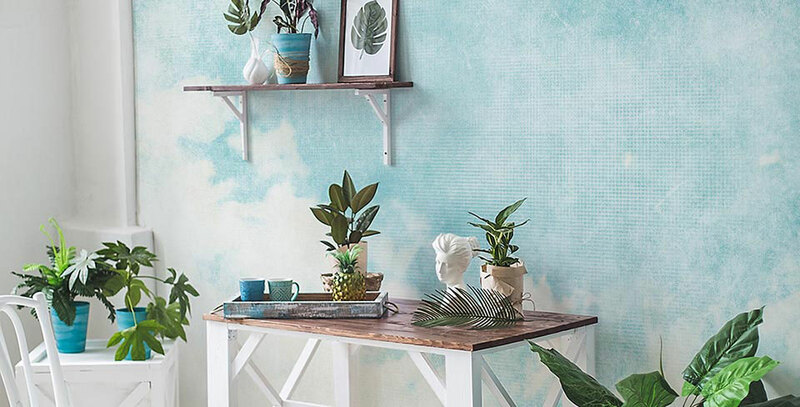 Get a retro-style flowery wall mural and turn back the clock. 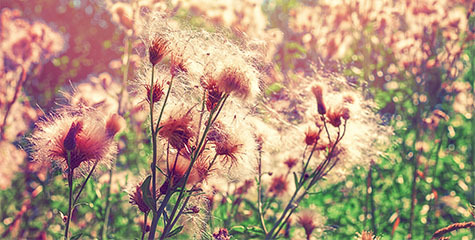 May flower power be with you! 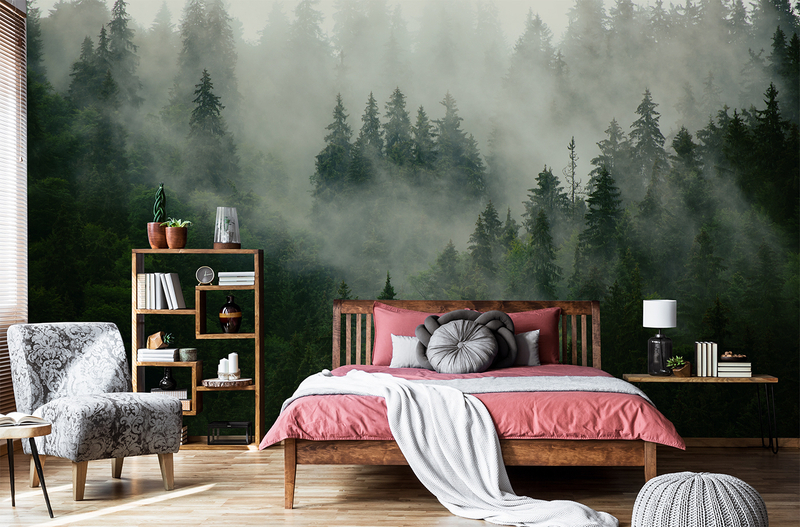 Wall murals with a picturesque view are a brilliant way to feel the closeness of nature even when we live in a big city. 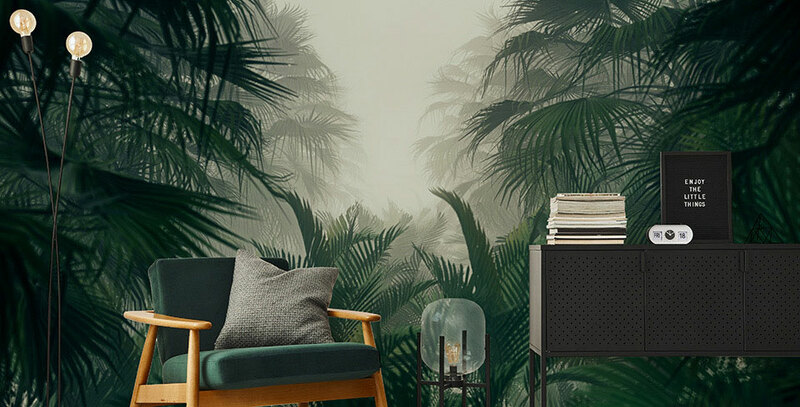 A green, forested nook in the living room is the ultimate recipe for décor which will calm us and help us recharge our batteries after a long day. Custom murals are a great way to quickly change your interior’s look. Thanks to them, you can achieve a completely new interior design without a need for a full-blown makeover, that may require wall painting or furniture change. Wall murals available in our offer are characterized by their high quality and excellent printing materials used for their production. 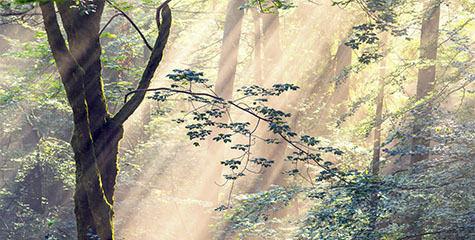 The modern technology of printing makes it possible to apply them in every type of interiors. Laminated kitchen murals, as well as the ones dedicated for bathrooms, are resistant to water, staining and scrubbing. Thanks to that, you don’t have to worry about their condition and durability. 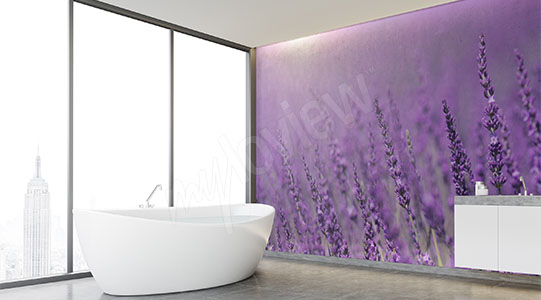 An additional advantage of modern wall murals is their easy and quick application. 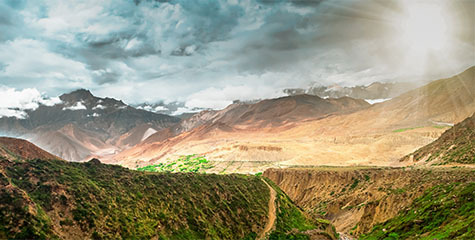 The most difficult challenge you will have to face is choosing a wall mural design, as we’ve prepared a very wide selection! 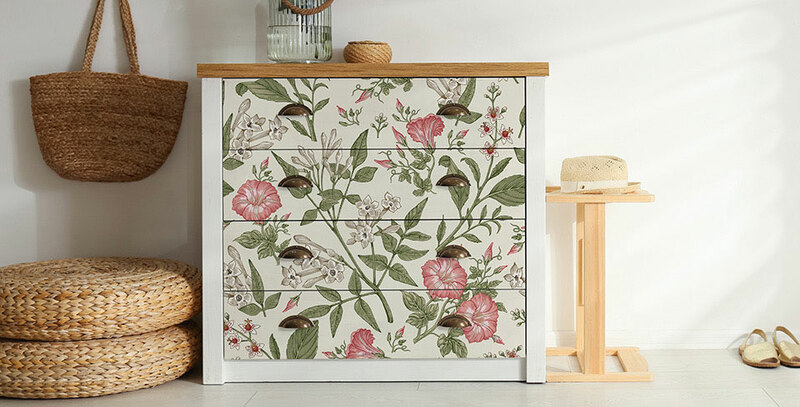 The wide range of motifs available in our online store makes it possible to decorate your entire apartment. 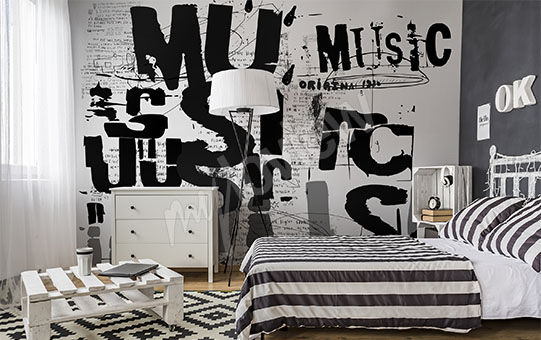 Well selected wall murals can truly work wonders. They will change a small interior into a spacious living room, a dark kitchen will gain some light, a child’s room will become a fairy-tale land and a breathtaking view of Paris or Rome will appear in your living room. Impossible? Of course not! All it takes to improve your space is a bit of magic and some decorating tricks. 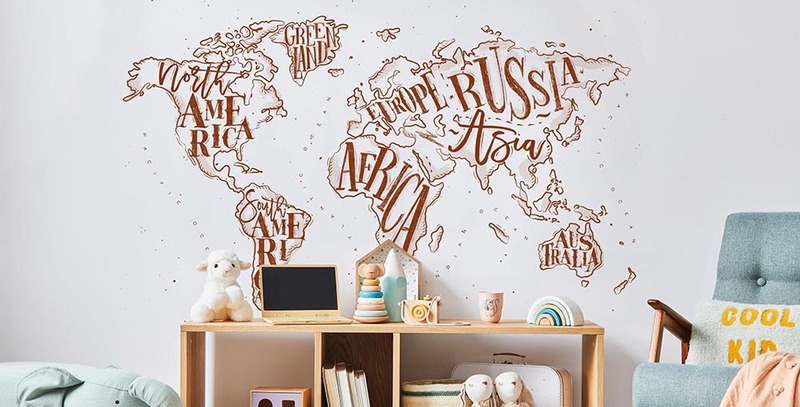 3D murals are a great way to decorate a small space. The sense of three-dimensional depth will make your interior seem bigger than it actually is. 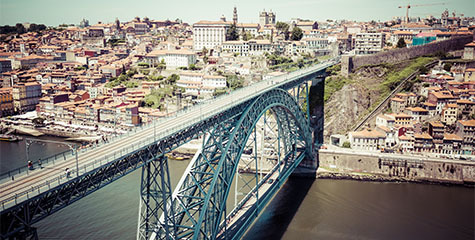 Depending on your taste, you may choose a picturesque landscape, a panorama of a large metropolis or an abstract geometric motifinspired by optical illusion. For small interiors, a good choice would be designs that enhance the sense of depth. In this case, 3d murals with a motif of stairs will be a great choice. Since we’ve discussed small living rooms, let’s move on to another interior. 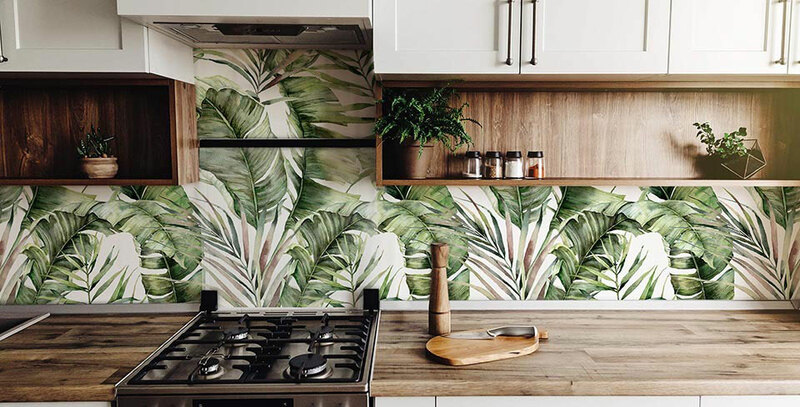 Kitchen murals are our next suggestion. Bright, colorful designs will light up a dark interior that lacks natural daylight. Our absolute favorite are multi-colored folk motifs that can fit nicely into both, traditional and modern arrangements. Thanks to them, your morning coffee will taste so much better. And what if your kitchen has no windows? 3D murals with a motif of opened shutters are a great way to cheat the reality. And now, it’s time to discuss bedrooms. 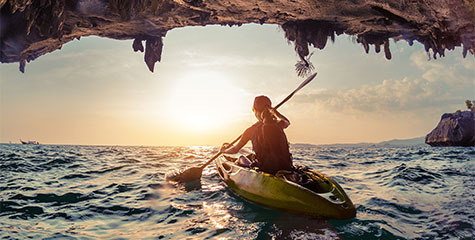 Depending on what kind of person you are – sensible, romantic or anything in between – you can choose a completely different type of bedroom murals: antique architecture or modern skyscrapers, picturesque landscapes, universal designs with timeless character or reproductions of famous masterpieces. It all depends on your imagination! 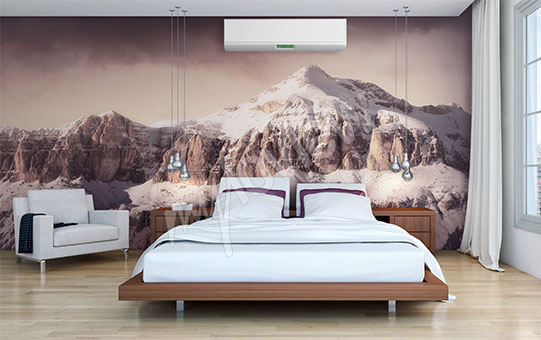 You should remember, though, to fit bedroom murals into the style that is already present in your interior. We haven’t forgotten about children’s rooms. This is where we can let our imagination go wild. Let’s create a chamber fit for a true princess, a spaceship for an astronaut, an underwater land of a zoo full of various animals! 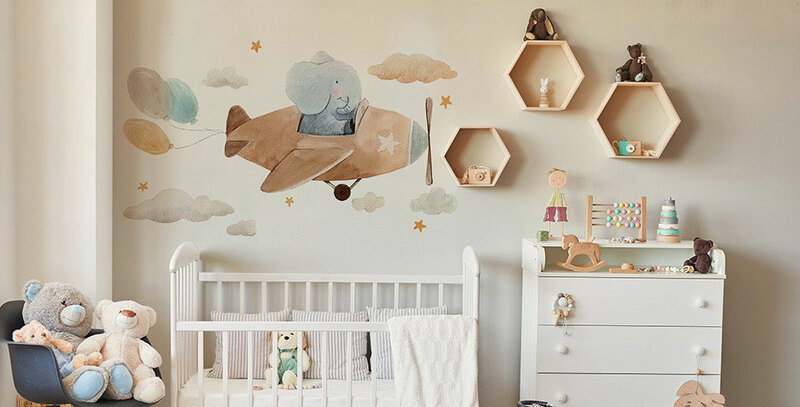 Kids’ murals will help you to conjure up anything your little one may wish for. 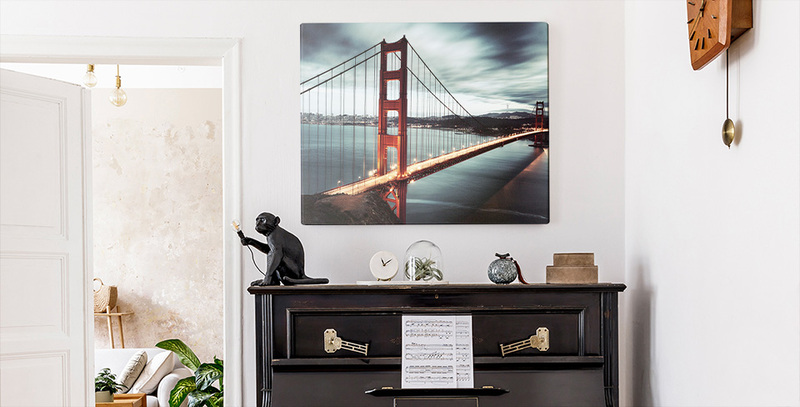 Canvas prints can be placed in any type of spaces – not only at your home, but also in public ones. Decorative details will instantly improve the look of living rooms and elegant boutiques – they will make the interiors more graceful and expressive. 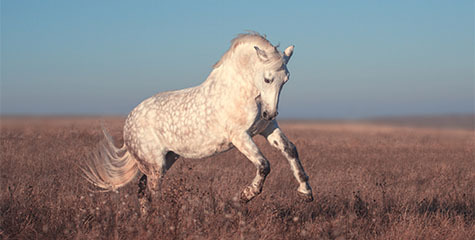 3d canvas prints are characterized by three-dimensional form and saturated colors. Such accessories will energize your walls and will give them some color. 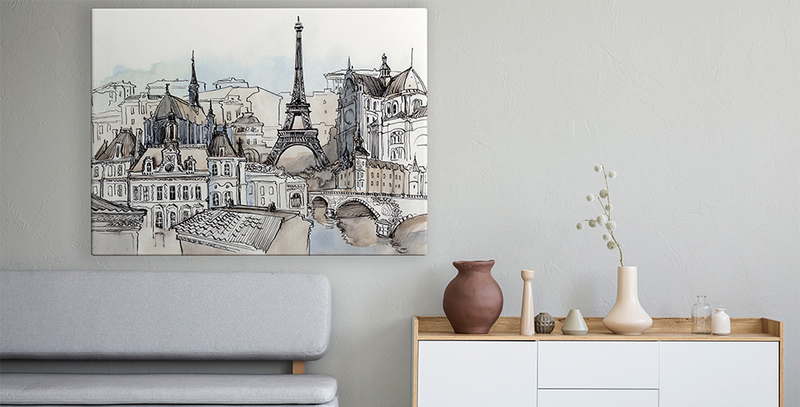 Among various canvas prints art pieces, you can find eye-catching and intriguing mosaics, geometric compositions and abstract designs – they will look beautiful when matched with elements of modern design. 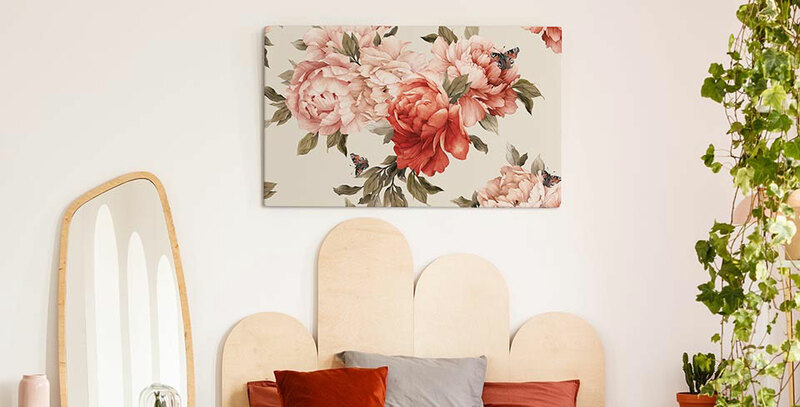 Among living room canvas prints, you can find flower designs, intriguing patterns inspired by the Orient and unique decorative motifs taken from the natural world. This type of decorations will make your interior look wonderful – they will become an eye-catching background for a classic sofa or glassed cabinet. 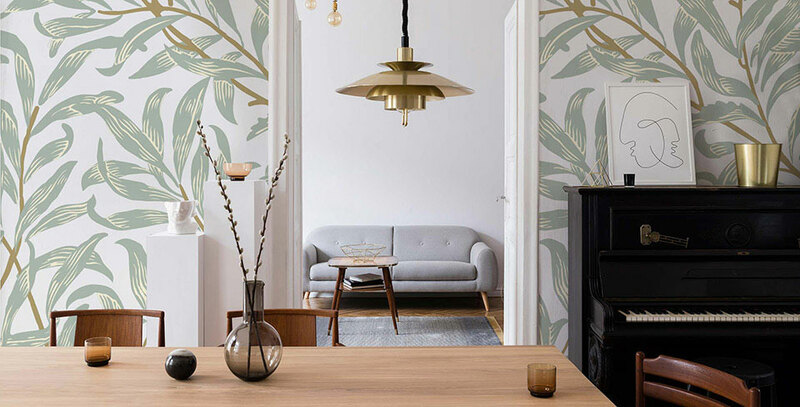 Plant and animal motifs will emphasize the Scandinavian style of your interior, while expressive abstractions will bring some fantasy into a minimalist space. 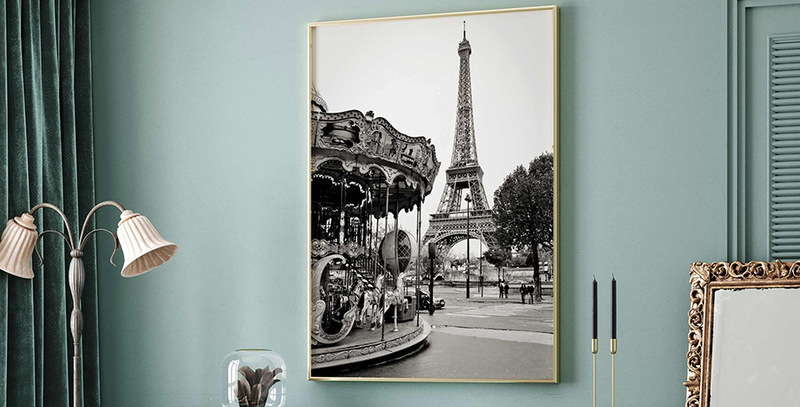 Living room canvas prints may be copies of famous art masterpieces – this type of decoration will make your interior gain an elegant character. Colorful and sophisticated details inspired by modern art, Art Deco and surrealism will fit nicely into interiors decorated in eclectic, elegant and glamour styles. 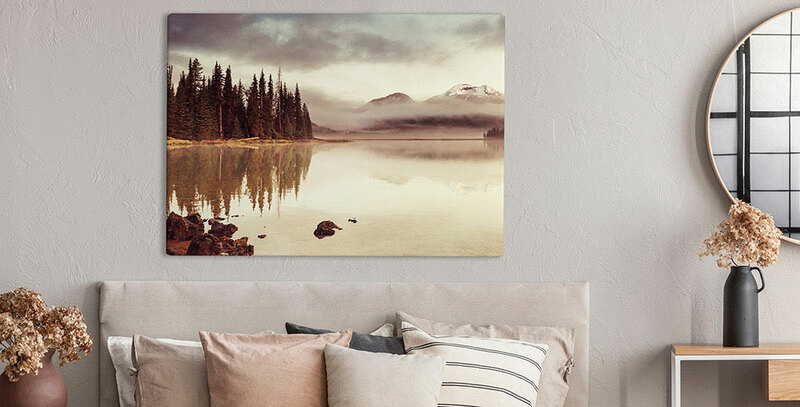 Canvas prints will make your decor gain an artistic character. In bedrooms, we suggest the use of pastel colors and subtle motifs – romantics will enjoy atmospheric landscapes, flower compositions and wall decorations that imitate watercolor paintings. 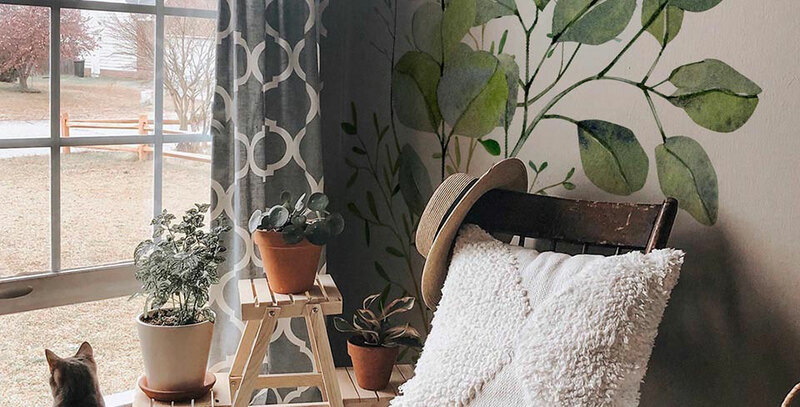 Delicate patterns on bedroom canvas prints will help us relax. Inspiring and sophisticated decorations will bring some fantasy, charm and magic into our space. Fairy-tale canvas prints can be successfully used as a decoration of a child’s bedroom – they will help your little one to develop their imagination and will guarantee a stronger sense of safety. When surrounded by favorite characters from fairy-tales and cartoons, your child will be motivated and happy. 3d canvas prints in bright and cheerful color scheme will improve the look of a traditionally decorated interior and change your little one’s bedroom into a different, fantastic world. 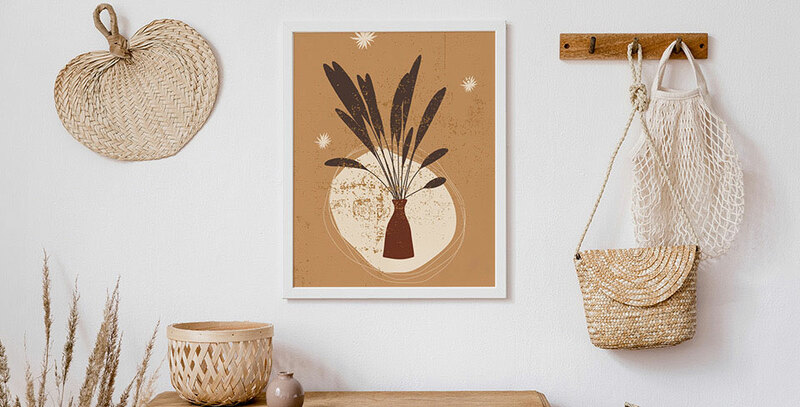 Illustrations will help you create a cozy and warm atmosphere, that will make the nights calmer and play time more creative. 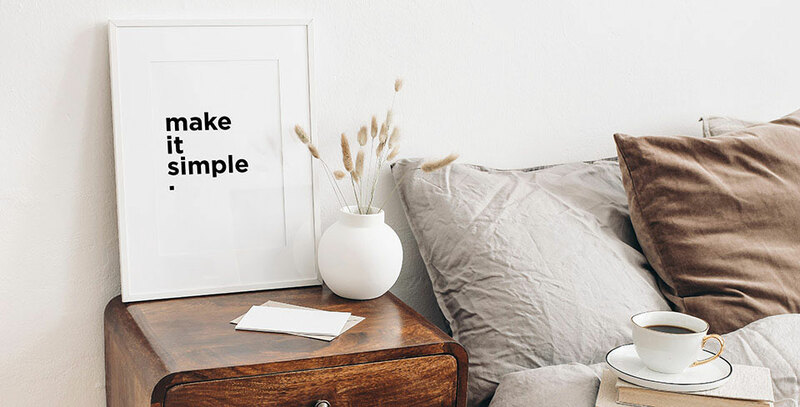 Canvas print will be a cheerful addition to a bed and desk – they will make the whole decor gain some of that childlike charm. Such colorful detail can also be used to decorate a kitchen interior. 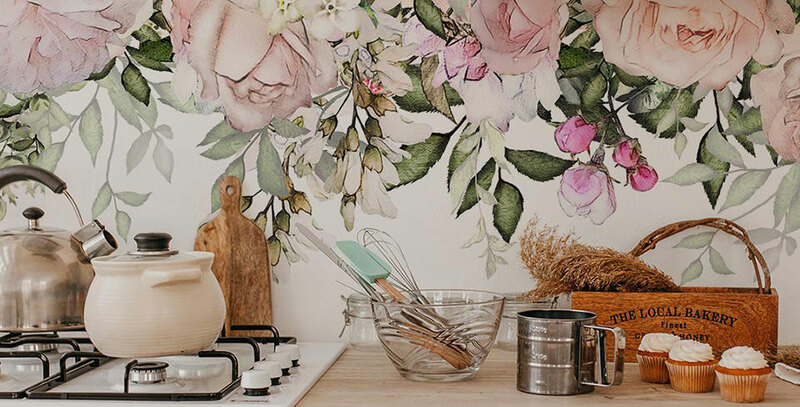 Kitchen canvas prints can have the same features as your decor – elegant, classic and modern. They may depict landscapes, fruit, coffee and sweets. Your choice should depend on the effect you want to achieve. With use of a delicious motif, you will make the process of preparing daily meals much more pleasant, and thanks to picturesque Provencal landscapes you will provide your kitchen with a fancy and inspiring decoration.